Full Circle Yarn by Knit Picks! 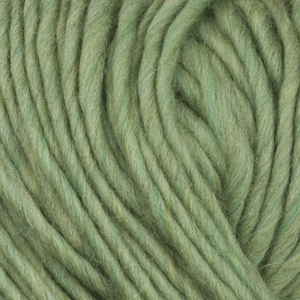 Full circle yarn, made from recycled fibers. It’s spun from a blend of merino and highland wool fibers that would have been discarded, allowing for reduced waste and conservation of natural resources. Ok, that’s what Knit Picks says. This is what I say…. I’m working on a scarf out of this color green “Spring” (you knew it had to be green!). This single ply is almost like a pencil roving, (think Lopi), but sooooo much softer than any bulky single spun I’ve ever used. The bulky weight calls for larger needles, obviously, which contributes to a pretty quick knit. It’s a sturdy fabric that I’m knitting (combination of seed stitch and basket weave stitch), but still, the thing I keep going back to is how soft it is. It does split a bit, but I’ve never knit with a single spun bulky that didn’t, and it’s definitely a lot less than others I’ve worked with. And, now, for another of Knit Picks limited edition yarns…..Brava! The softest, nicest 100% acrylic I’ve every run through my stubby little hands……and I’ve got a whole knit along project planned. Check out the Baby Cardigan, Bonnet and Socks HERE. I’ve ordered the yarn and I’ll start my KAL as soon as I get it. Probably about a week, if anyone wants to join me!